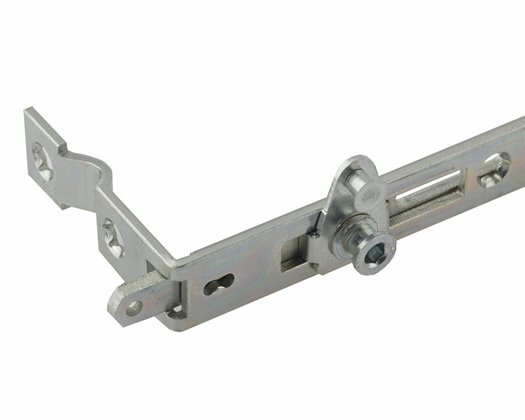 The Centurion shootbolt offers a cost effective solution for fabricators requiring a high security window locking system. The Secured by Designed product is also durable and reliable, having been tested to 100,000 cycles, and a minimum of 240 hours of salt spray testing. The locking system features mushroom shootbolts and is available in 20mm and 22mm backset. Providing a price-competitive, quick-fit locking solution, the Kenrick Fast-Fit shootbolt combines high levels of security with ease of installation. Featuring steel shootbolts and 6-8 locking points, the non-crop fitting Kenrick Centurion system is also Secured by Design accredited, and can help you achieve the PAS 24 standard for your windows. 10 year mechanical guarantee. 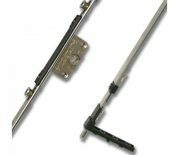 The croppable high security shootbolt locking system from Yale is suitable for all uPVC windows with sizes from 326mm to 1420mm. Adjustable mushroom cams (7.7mm and 9mm) offer enhanced anti-separation performance, together with simple compression adjustment. Offering high security, the Yale Extendable locking system covers all window sizes from 476mm to 1520mm without the need to cut the shootbolt extensions, helping fabricators save time during manufacturing. Adjustable mushroom cams (7.7mm and 9mm) offer enhanced anti-separation performance, together with simple compression adjustment. Available in 7 non-crop shootbolt sizes. For Eurogroove systems the Stallion 2 Shootbolt is a quick fit telescopic shootbolt that requires no cropping or cutting. It incorporates some added feature benefits including a unique clip in action to the Eurogroove, an automatic self setting action that sets the shootbolt at the required length and rising locking cams to maximise engagement and frame clearance. Suitable for most uPVC standard casement and flush window systems, as well as aluminium and timber profiles and covering all window sizes from 326mm to 1420mm with just 4 rod sizes. The croppable Yale Shootbolt window lock offers high security shootbolt performance with a minimum of components, adjustable mushroom cams offering enhanced anti-separation performance.